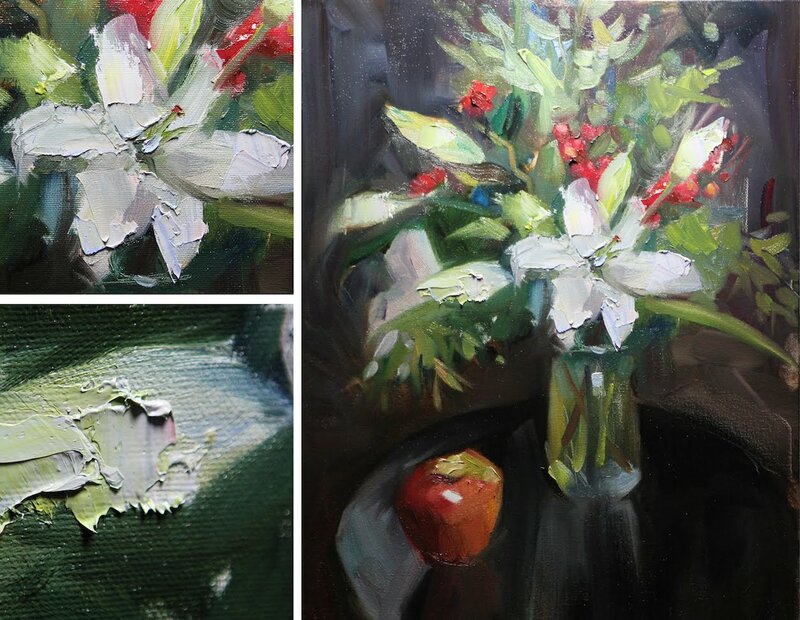 I want to wish you a Merry Christmas, Happy New Years, and an all around wonderful holiday season. The Ala Prima painting demo at Opus on Dec 19th was a lot of fun, thank you for everyone who attended the demo, and for all the helpful staff of Opus for facilitating the event. 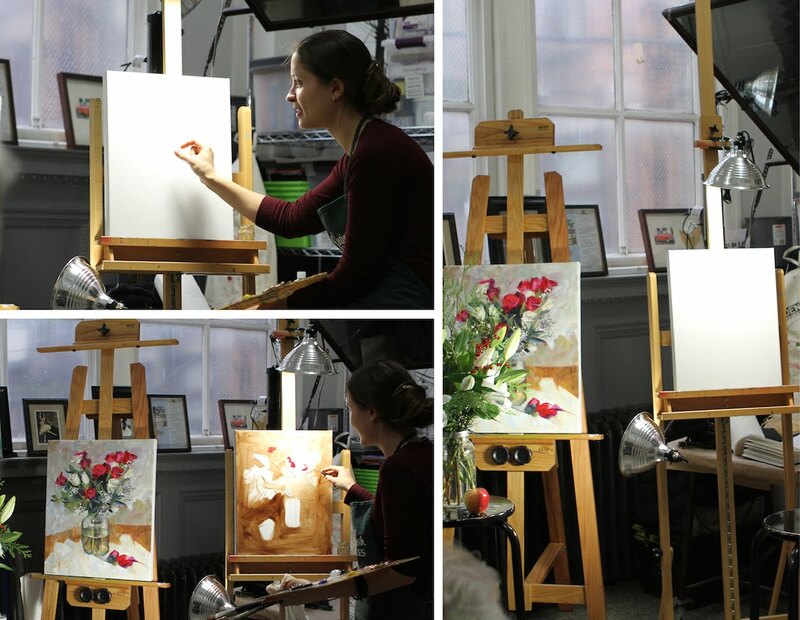 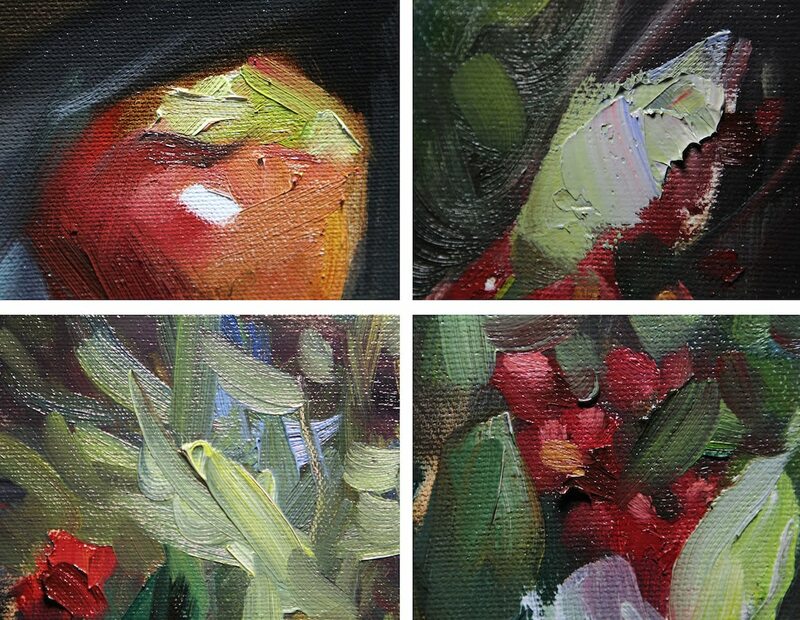 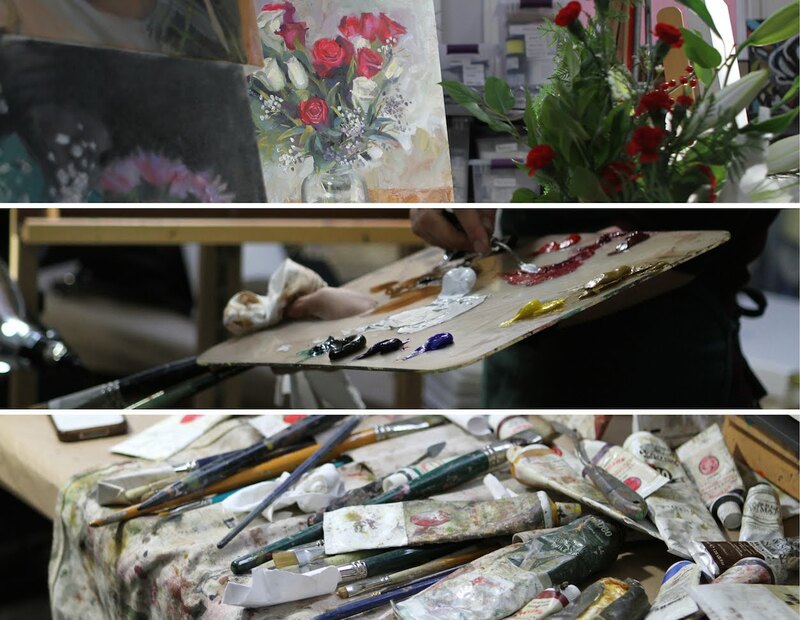 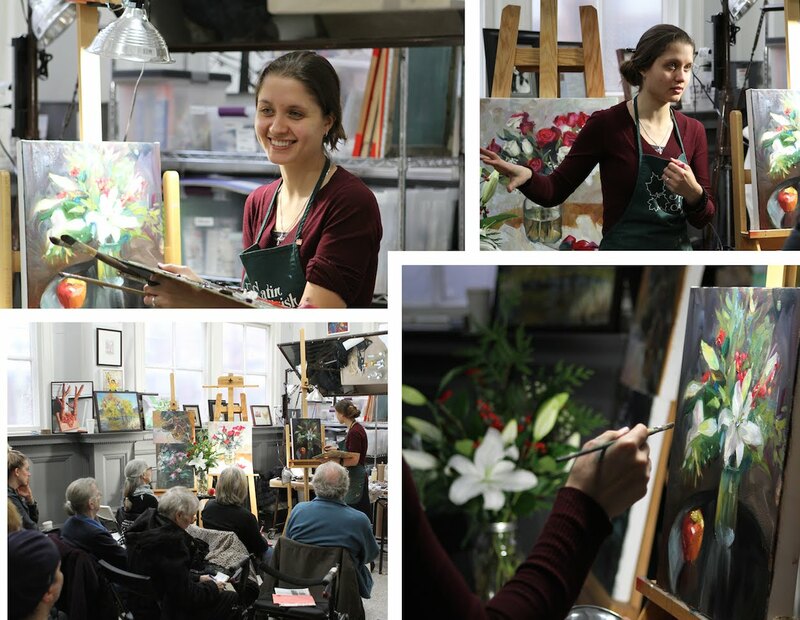 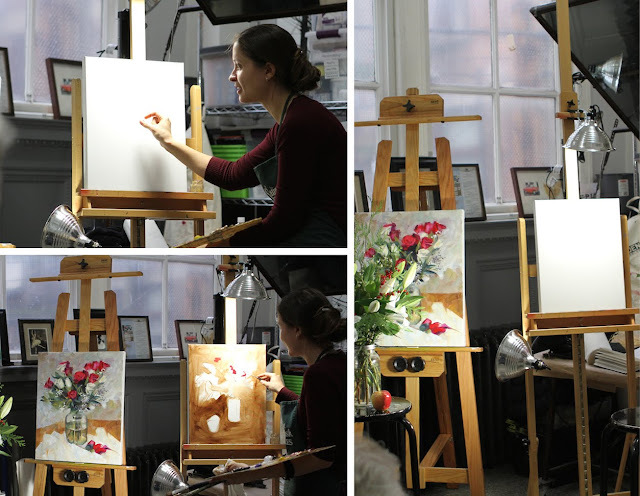 Here are some of the pictures of our Christmas bouquet coming to life on canvas with oil paint at the demo.